Moan, Moan, Moan, Moan, Moan. Jolly Old June. Grumpy's Alternative News. Life is indeed strange. It's not been an easy time. (see blog dated 23rd June.) Francoise, my mother-in-law died suddenly, unexpectedly, alone on a Sunday morning. (Paramedics were sent for but in fact it was too late.) My sister-in-law was probably initially most affected, physically living closest to Francoise and being the one who discovered Francoise's body. Christine was particularly concerned with the concept that 'It was not her (Francoise's) time'.) Strangely my youngest daughter, Alison had a dream, a vision, an experience, call it what you will in which Francoise appeared at the bottom of her bed to impart the simple message, 'It WAS her time.' (Francoise was just short of eighty seven years old and apparently died quickly, according to the paramedics who attended.) The interesting thing is, neither Christine nor Alison knew of the other's thoughts or experience. (Alison is a mature, sensible school teacher in her late thirties. She is not into anything remotely spiritual.) But this is not the first time she seems to work on a 'different plain'. Ask her about the time a large washing machine 'mender' fled her house, in broad daylight because a 'man' was standing in the room alongside Alison. a 'man' who shouldn't have been there. The workman, large though he was, refused to return and continue. We had in fact to employ someone else to finish the job. Our family lives at this time, particularly for my wife, her sister and brother are much concerned with sorting Francoise's possessions, a moving but necessary task. Box after box of possessions, hurriedly packed and removed to appease the council and now sorted, slowly, one after the other; a traumatic, experience. Then for me a strange, surreal experience. One box contained a hat owned by Peter, Francoise's husband, who died in 1984. I am not surprised Francoise had kept it. A fur lined, 'Cossack style' headpiece, worn in the depths of winter when he faithfully followed his beloved Chesterfield Football Club through thick and thin, though mainly thin. When I first met Peter's daughter, Paulette, Peter and I had much banter concerning the lowly Chesterfield and my team, the mighty Derby County. I doubt anyone in the family realised how much I admired Peter. A Dunkirk survivor, a proud ex-army veteran, he was probably all that I would have wished for in a father. For my own father is to this day unknown; an eerie feeling. Peter looked the part in his hat, he loved his football and I could not help a wry smile at the memory. I tried the hat on. It was in fact too small, (they don't call me big head for nothing) but it reminded me of so much. And I could not help but be reminded also, for an instant, of Groundhog Days, and the idea of life repeating itself had I accepted the offer of the hat for my own football excursions. Though I confess I kept my thoughts to myself. A fraught day was eventually over. Many items allocated to various destinations; at least out of tragedy someone not so fortunate benefits. Francoise would have liked that. I placed some garden pots in my van as requested; plus two cardboard boxes. It was only later that I realised one item thus contained was Francoise's sheepskin coat. Kept by my wife and will no doubt be worn in the wintery days ahead. Groundhog Days all over again. Old men told me, years ago, as a young married man, when I wanted to know what my wife would be like in the days far ahead you had only to look at your mother-in-law; I settled for that. I looked at my wife as she watched the film; tired after a long, trying day. And as she viewed Molly, one very geriatric Dalmation curled up contentedly on the sofa beside her. (My wife and I look after other peoples dogs whilst their owners go on holiday.) Mollie is the oldest, most decrepit dog we have looked after to date. And I was instantly reminded of Rusty, the sixteen year old poodle I inherited all those years ago. (see post dated 7th July.) Strangely enough, shades of Groundhog Days again. Hopeless or Hopeful. Answers on the Back of a Stamp Please. Regular readers of my blog know that I don't often concern myself with the news, or important matters in general as a rule. Others do it better, and I seldom concern myself with matters of which I have little or no control. But unless you have no radio, television or newspaper contact in your life it is impossible, in the Western World at least to avoid the words 'phone hacking' at the moment. The world seems to be full of dishonest, creepy, unscrupulous, lying, greedy, moronic, unprincipled, arrogant powermad, incompetent individuals who seem to have no comprehension of what is right, wrong, sensible, honourable. What's more, many caught out feign surprise that their actions are thought the slightest bit reprehensible. I can't be bothered to list individuals misdemeanours, by politicians, by police, by newspaper employees, from moguls at the top to seedy newspaper reporters at the lowest, and I mean lowest level. It just occurs to me that we need to take stock lest the downward trend continues and our children and grandchildren inherit a world without hope. For its a mad, bad world we live in. And the idiots have taken over the asylum, that's for sure. Two, Many in life seem genuinely surprised that their behaviour is regarded as the least bit reprehensible. My ageing generation is often ridiculed for adhering to standards long discarded. (Be respectful, care for and about others, be honest etc.) But it is equally obvious that age in itself is no guarantee of honesty, good living etc. Rupert Murdoch is ancient; Bernie Ecclestone is no spring chicken; Colonel Gaddafi clings to power and so on. Men in the autumn of their years but still power mad and of dubious principles. And three, you could argue that religion is the answer, except that one has only to look around the world to see the vile things done in the name of religion. Beliefs or propositions that MOST people consider prudent and of sound judgement. Sound judgement NOT based on specialised knowledge. So 'common sense' tells you if you lie and cheat you will probably be found out. 'Common sense' tells you we need to act, live together in harmony if the world is to be a happier place. 'Common Sense' could be the new religion. (Thomas Paine wrote a brilliant and influential pamphlet entitled 'Common Sense'). Except that it relies on those in charge of us, those in power to think as MOST people think. 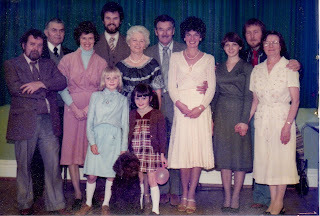 My mother in law sadly died in June. (see post dated 23rd June.) The council own the small bungalow in which she lived. Her children were given four weeks to return the property to its original state. This entails removing fitments used to make the place 'home' during Francoises residence. An elderly gentleman will be the new tenant. He will have no fitted carpets or curtains (or underlay). Why, because we have removed the immaculate fitted carpets and curtains Francoise had fitted AT THE COUNCILS ORDERS. Maybe, just maybe the elderly gentleman would not have liked Francoise's choice. But did anyone ask him? Would that not have been the COMMON SENSE thing to do! The world, this lovely world appears to be in a mess. Not surprising with those in power, from the top downwards, being such unthinking, blinkered, infantile buffoons. Natural ability to make GOOD judgements and to behave in a PRACTICAL and SENSIBLE way. Tell me please, after recent traumatic times, is there any hope that things will get better. If so, what will determine the change? Talking of visitors, our favourite past time is sitting eating chips outside a 'caff' whilst 'people watching'. I was going to say 'all shapes and sizes' but one shape, one size predominates. 'The big people' rule in Skegness. If you're big, nay massive Skegness is seemingly the place to be. Every obese, large, rotund, overweight individual from Leicester, Derby. Nottingham and Sheffield seem to make for dear old 'Skeggy'. And I've not seen so many smokers for many a day. Add tattoos by the dozen, on heads, necks, backs, arms, legs (I daren't guess what's fortunately hidden from view) and you get the picture. And the men are just as bad! Nevertheless It's a cheerful place, at least I thought it was. Now I'm not so sure. I bought the local paper, t he Skegness Standard. Its front page banner headline read. 'United in Wind Battle'. Now Skegness and district is dominated at the moment by news of a proposed 'wind farm' to be situated on land near Anderby Creek. Feelings apparently run high, but are know where near the 'united front' suggested in the headlines. (I actually stayed at Anderby Creek. I met many, including locals who held a different viewpoint. I also noticed 'anti' signs a long distance from the proposed site.) There is even an anti-windfarm organiser, a certain Melvyn Grosvenor who will help organise your protests if you so wish. I could go on, but minds are made up, the word NIMBY springs to mind. 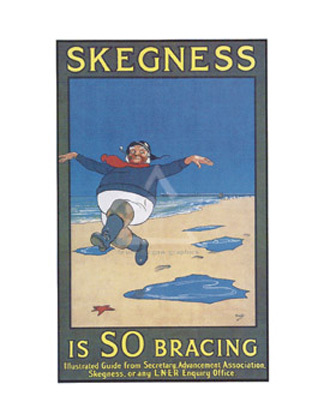 Moving on, I noticed something interesting; happiness in Skegness and district is not in abundance. Letters to the paper are a case in point. Apparently motor vehicle parking on the pavement is rife. Tradesmen, taxis, the general public, all park on the pavement. Not that it's any better when they take to the roads. Buses clog the roads outside the Embassy; parked on zigzags, double parked, and what's more, evidently the police don't care! And if you don't drive but merely walk about, what happens. The seafront shelters you pass are full of foul mouthed drunken men at all hours of the day. Are people born moaners or does the place do this to you? No, not a happy place, Skegness. The newspaper's Facebook is full of irate moans concerning overflowing litterbins, dirty waterways and overgrown roadside verges. A visit to Skegness really is 'slit your wrist' time. Never mind, a walk up to jolly old Ingoldmells will surely do you good. Nope, not really. People on sites near to the Bolton Lane Sewer Works have been moving out because of the smell. ('Anglian Water is working hard to identify the source of the odour.') Try the Sewer Works, fellas. Do you remember Mona Lott, Mrs Mop of ITMA fame. Her favourite saying was' It's being so cheerful as keeps me going.' I wonder if she came from Skegness! Funny Things, Diaries. Memories from Thirty Years Ago.
' Rusty continued to live with us, enjoying town life with its new smells and mysterious canine offerings, and in the summer of 1981 survived the move to yet another new home. His needs were few, an amble round the garden, food and sleep seemed to be the main requisites necessary for his contentment. Mid evening was punctuated without fail, by frenzied barking, continuous and unabated, a noise that could be extinguished only by taking the dog lead from the drawer and accompanying Rusty into the night. Whatever the weather the ritual was unvaried. One excited, extremely aged dog would patrol his area, his 'patch'. Slowly, stiffly he would examine every fence, every lamppost, every gate post, watering without fail so many of the aforementioned items that his bladder seemed unemptyable, his spirit unquenchable. The 'walk' lasted around twenty minutes, the route seldom if ever varied. We would return, often cold, sometimes wet but always contented. Exercise over, Rusty would settle for the night, seldom stirring, sometimes noisily dreaming, until the next day, when the pattern would be repeated. A pattern that continued, amazingly for over four years. Imperceptibly his eyesight deteriorated to the point where he was presumed blind, whilst his hearing loss meant he was oblivious to much of the world around him. Many, many times I sat with that old dog, the rest of the household long since asleep, wondering whether life was still kind, still bearable, still worthwhile. His eyes became glazed, his coat rather scruffy and neglected, but still he seemingly enjoyed life, gradually becoming content to examine the garden rather than the neighbouring streets. Only in the last weeks of his life did life itself appear to become a burden. I had already become accustomed to looking closely at this ancient creature several times a day as he lay in his basket. Often his breathing and his general posture suggested he had in fact 'passed on'. Sleep gradually became the main event of the day, taking up twenty two hours out of twenty four. His ability to walk became suspect, the occasional stagger of the rear legs suggested his nervous system was deteriorating. This, coupled with an inability to control his bladder meant that life was probably intolerable, 'eternal' sleep preferable. I agonised over taking him to be 'put down', a kindness though it undoubtedly would have been. Alone, at night, I looked into those sightless, yet seemingly trusting eyes and wept at my own inability to act in the face of his distressing plight. Instead I asked Richard, a friend, to take him to be painlessly dispatched. Though he agreed, his offer of help became unnecessary. A week after Rusty's twentieth birthday(the 6th of July) his distress was so apparent that Paulette, whilst I was at work, called out a vet. The gentleman, no doubt correctly decided that administering a drug to put him out of his misery was the kindest thing to do. The decision that I had agonised on and avoided was thus taken out of my hands. On this particular I was on a trip with pupils and other staff to the West Midlands Safari Park. The day went particularly badly. The bus driver became hopelessly lost; we arrived at the park late. The other staff, colleagues rather than friends had little interest in the trip or the pupils concerned. The park itself held only average interest. I arrived home tired and dispirited, to the news that Rusty's body awaited me in the garage. He lay in his basket, a pathetic figure but at peace at last. The children howled; Paulette howled; we all howled. Still in tears I dug a grave beneath a tree in my garden. So Rusty aged twenty, well loved and never forgotten, was laid to rest on that hot summer's day. 'Well done thou good and faithful servant'. Dentist Chirag Patel uses a dead man's disability badge to park his Ferrari and then whinges when he's caught. He reckons being charged with fraud is 'irrational and oppressive.' George Davis, founder of Next offers his £100,000 Maserati to two policemen if they will let him off a drink driving charge when he is caught over the limit. Tom Campbell, Boris Johnson's cultural strategy manager brags to an interviewer that he regularly shoplifts from high street shops and then sounds surprised that he gets the sack. Its not the offences that annoy me the most. It's the undiluted arrogance of these people, they seem to have no conception as to how the majority of ordinary, decent people live and think. (Boris Becker is disputing a gardening bill on his estate on Majorca of almost £267,000. A gardening bill, for goodness sake!) What was it I was taught at school, 'Blessed are the meek, for they shall inherit the earth'! It really is a mad world. Thirty six male and female police officers are to guard the Olympic flame as it tour s the country in 2012. And guess what happens after the tour is over. All involved are to receive counselling to help with their 'reintegration back into the Met'. Ye gods, I kid you not! A man has been charged with clamping unmarked police cars during a visit to Portsmouth by the Queen. How awful for the poor police drivers. I bet they went on sick leave after such a stressful experience. Some more idiots, but at least they made me smile. The young lady in Hamburg who announced her 16th birthday party on Facebook but didn't say it was private. 1500 turned up; mounted police were needed and she ran away. A security guard in Doncaster used a 12-bore Beretta to remove a wart from his middle finger. He removed the wart, also most of his finger and, he hadn't even got a gun licence! And Mark Wilkinson of Birmingham took his 16ft second-hand cabin cruiser to Lyme Bay for it's maiden voyage. Unfortunately a previous repair proved faulty and the boat sank. The boat's name, Titanic II ! Life never ceases to surprise. A man in Warrington is held under water and drowns. This terrible event during an angling competition at the local canal. A 21 year old man in Plymouth breaks up with the mother of his two children. So he bombards her with text messages, 17,000 over a year. (That's an average of 47 a day.) James and Jacqueline Balmer, a couple from Cirencester never flew in the same plane as their daughters for fear of orphaning their two children. Children now grown up, they fly in the same plane over the M editerranean. The plane came down between Menton and Monaco; sadly both were killed. No wonder I found myself floating as on high during June. Better than any drugs, this strange world of ours. Even our animal friends provide surreal experiences that test our grip on reality. Firefighters are called out to rescue a sheep from a roof in Pontycymer, South Wales. 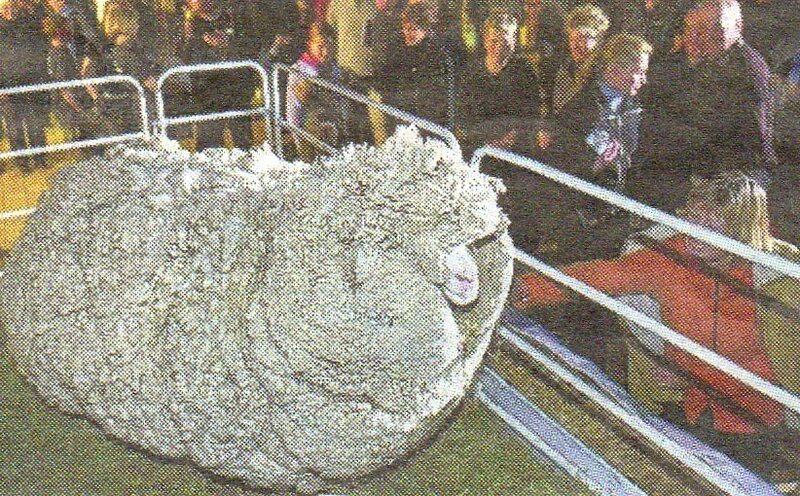 Another sheep, Shrek evaded those who tried to clip him by hiding in caves at Tarras, South Island, New Zealand. When they eventually caught him he had thirty kilos of wool on him! Still in New Zealand (North Island) a penguin, nicknamed Happy Feet turns up from the Antartic, 2000 miles away. Somewhat bemused, he eats the beach sand, presumably mistaking it for snow. In Australia a kookaburra becomes wedged in the grille of a Mazda 6 car. 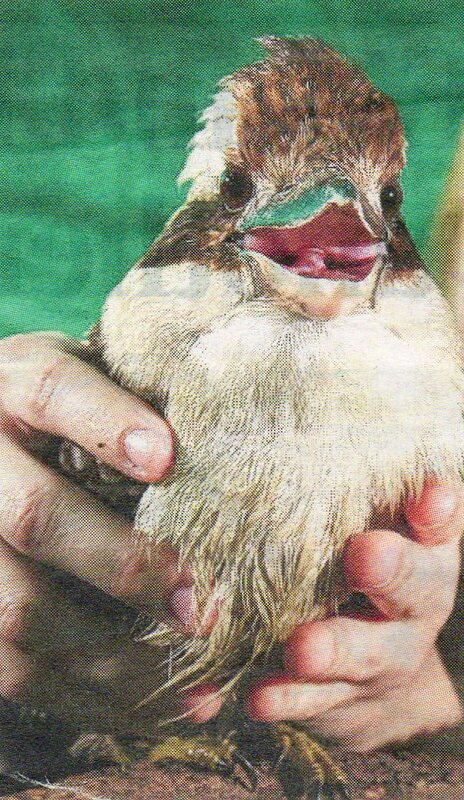 Twenty five hours and 442 miles later the car arrives in Brisbane and one lucky bird is released, indignant but very much alive. No wonder they are known as the laughing jackass. 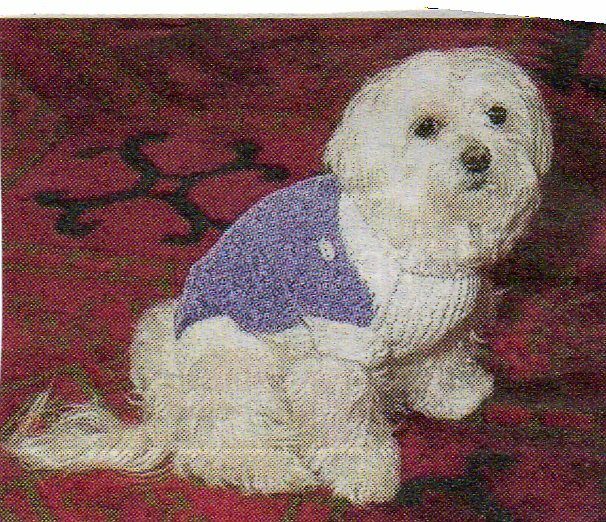 Not so lucky Trouble, the Maltese dog whose death was annouced recently. Trouble was left £7.3 million by her owner New York hotel mogul Leona Helmsley. Not a cheap dog to maintain, her security guard alone cost $100,000 a year. And they still won't allow its remains to be buried in the family mausoleum! Finally a bizarre story from the good old US of A and no guns involved for a change. A women goes to the dentist in Oregon. She is American, has never been abroad but now, after the anaesthetic Halcion, speaks with a foreign accent that some describe as British, some South African. Known as Foreign accent syndrome, the condition is rare but certainly not unknown. How strange indeed is this world we live. So there you have it. Another month gone. Do me a favour, tell me, please, of all these bizarre happenings, which in particular caught your eye.